MALARIA deaths have declined by more than half in the first seven months of the year compared to the same period last year as the Government continues to put more interventions to fight the disease. 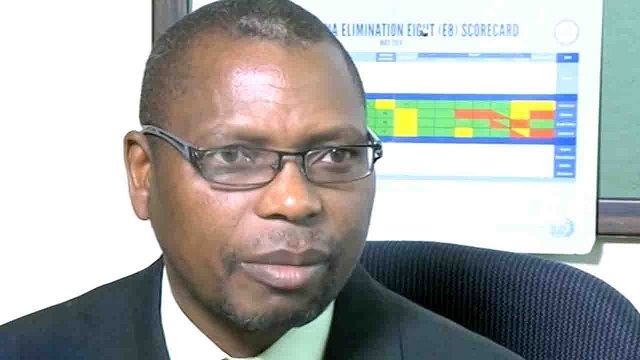 In an interview, the director of the Malaria Control Programme in the Ministry of Health and Child Welfare, Dr Joseph Mberikunashe said there have been 159 deaths between January and September compared to 448 deaths recorded during the same period last year. “There is a significant decline in the number of malaria cases and deaths in 2018 as we have recorded 159 cases compared to the same period in 2017 when we recorded 448 deaths. This can be attributed to a combination of factors that include improved care due to continued training and mentorship of health workers on case management as well as increase in the number of community health workers trained in case management. This has led to improved response and management of outbreaks,” he said. Dr Mberikunashe said Manicaland, Mashonaland East and West and Masvingo provinces have recorded the highest malaria prevalence rate while Bulawayo has the lowest number of malaria cases. “Manicaland, Mashonaland East and Central and Masvingo are the most affected provinces accounting for 91,3 percent of the burden while Bulawayo has 0,1 percent. Those above five years are the most affected. This could be attributed to outdoor activities during mosquito biting times and that is between sunset and sunrise,” he said. He also said mobility was now a big challenge due to the shortage of fuel. “Fuel is now difficult to find, we have a challenge of mobility and it has now crippled our movements in terms of going out. We are pleading with different stakeholders to help us in terms of having access to fuel so that we can be able to travel to different places,” said Dr Mberikunashe. He said the ministry has started preparations for the transmission season to help fight against the disease. “The Ministry of Health and Child Care (MOHCC) through the National Malaria Control Programme (NMCP) uses the World Health Organisation (WHO) recommended interventions to prevent, control and eliminate malaria in Zimbabwe. Currently the MOHCC is conducting Indoor Residual Spraying. “We are targeting to spray a total of 2 785 946 structures in 32 districts and we are also targeting to protect a population of 3 151 520. “We urge all the communities in areas that are going to be sprayed to participate actively during spraying IRS,” he said. He added that drugs were readily available in all districts for suspected cases of malaria. “Adequate medicines and mosquito nets have been procured and prepositioned in all districts of the country to ensure prompt treatment of malaria cases at all levels including at the community. All suspected cases of malaria are tested and only positive cases of malaria are treated with effective medicines,” said Dr Mberikunashe. Malaria remains a major hazard for all pregnant women exposed to the mosquito parasite. Being pregnant makes them more vulnerable to infection, and far more likely to develop full malaria symptoms even if they would normally have a good level of resistance to the disease.